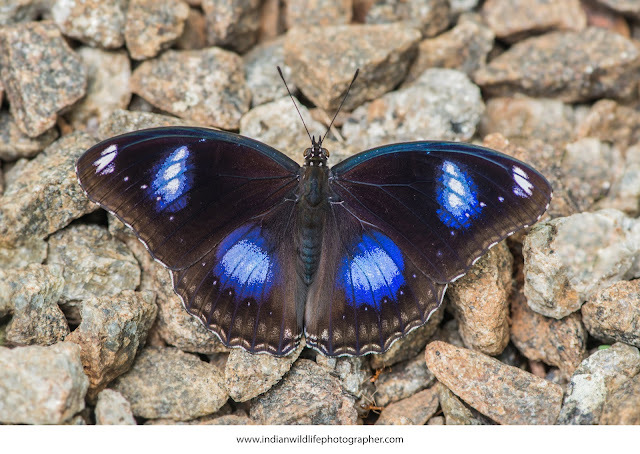 The male of the Banded Royal is a deep shining blue with comparatively narrow black distal borders, with a visual brand of differently coloured and more densely packed scales at the forewing cells end. The female is brown above with black eyespots at the tornal area. The underside is white, with a broad purple brown distal border, of which in the inner half is more deeply coloured. The species possess two pairs of dissimilar tails, one at vein 1b, which is ciliate throughout, and the other at vein two which is white-tipped. 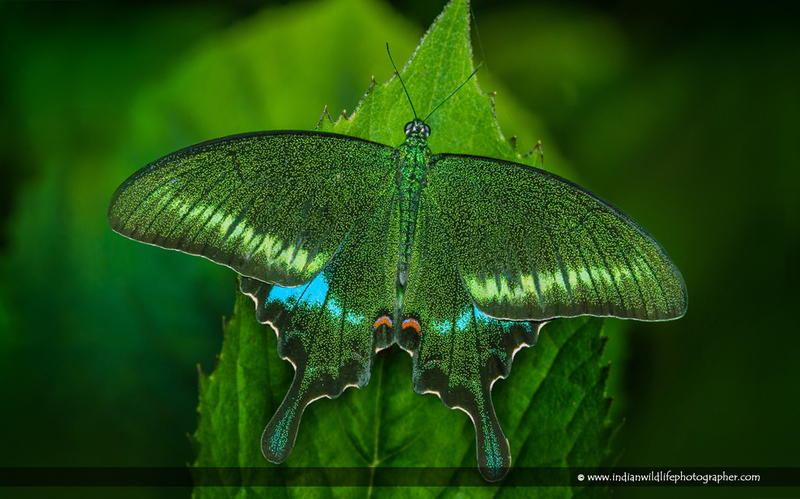 This butterfly Founded In Paruthumpara Para River Side, Name Paris Peacock (Papilio paris) is a species of swallowtail butterfly found in the Indian Subcontinent and Southeast Asia. Upperwings are black and irrorated with dark green scales, which on the outer portion of the forewing coalesce and form an incomplete postdiscal narrow band which is straighter than the similar subterminal band on the forewing of Papilio polyctor. On the hindwing, the irroration of dark green scales does not extend to the costal margin and is interrupted posteriorly by a broad postdiscal area, on both sides of which the green scales coalesce to form narrow diffuse bands; a conspicuous upper discal shining blue patch occupies the base of interspace 4 and outer portions of interspaces 5 and 6; this patch is variable in size, and in many specimens extends narrowly below and above the interspaces 3 and 7, respectively, its outer margin is uneven, its inner margin evenly arched; a prominent claret-red largely black-centred ocellus at the tornal angle, its inner margin with a transverse short violet-blue superposed line; in many specimens an obscure claret-red subterminal lunule in interspace 7. Underside opaque black; bases of both fore and hind wings, up to basal half of cell in fore and up to apex of cell in hind wing, with an irroration of yellowish scales; also present more obscurely on the subterminal area in both wings. Fore wing with a very broad elongate triangular pale area that does not extend to the termen, formed of inter-nervular broad very pale ochraceous-white streaks, short near the tornus, gradually longer up to the costa. Hind wing: a prominent subterminal series of ochraceous-red lunules traversed by short violet-blue lines; in interspaces 1,2 and sometimes in 3, these lunules are formed into more or less complete largely black centred ocelli by the addition of an admarginal portion of the red ring. Cilia conspicuously white in the interspaces. Antennae, head, thorax and abdomen black, the latter three sprinkled with green scales above. Female. Similar to the male but somewhat paler and duller. Upperside of the forewing has the green postdiscal band shorter and more incomplete than in the male. Hindwing with the upper discal patch smaller, often green and not blue, the red subterminal lunule in interspace 7 is always present and more prominent than in the male. Founded In: Paruthumpara, Idukki Dist, Kerala, India. Founded In: Kanjirappally, Kottayam Dist, Kerala, India. 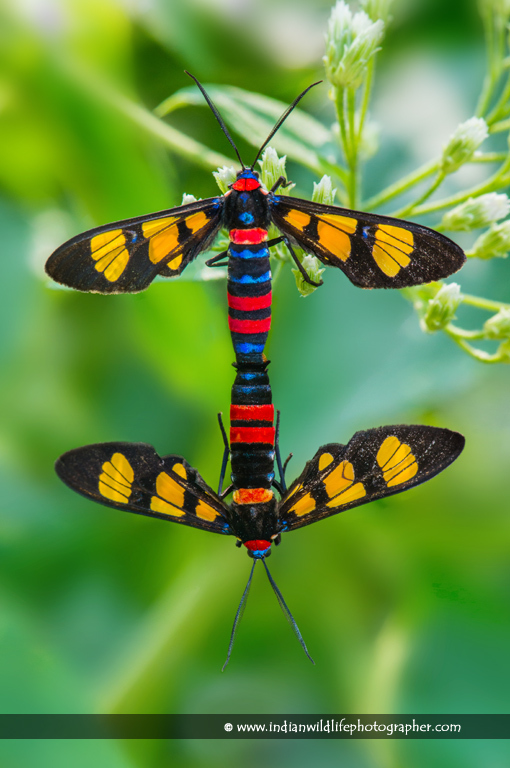 Amata cyssea moths are commonly known as Handmaiden moths that are day-flying members of the Arctiidae or Tiger moth family and Subfamily Syntominae. They mimic wasps in their body and coloration. Even for a predator who does not get deterred by wasps, the occasional bright body colors usually advertise a bad taste, so Handmaidens flourish. The genitalia are asymmetric in both sexes. In the male the tegumen has prominent lateral lobes. The valves have strong, curved, asymmetric processes from the base of the costa and are themselves asymmetric. The aedeagus vesica contains a row (or rows if it has more than one lobe) of small cornuti, some of which can become very long. In the female genitalia the ostium is set asymmetrically between the eighth and seventh tergites. Euchromia polymena is a moth of the Arctiidae family. It was described by Linnaeus in 1758. 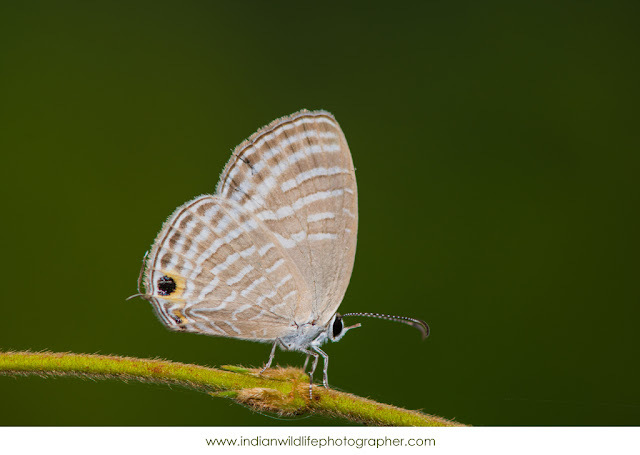 It is found in India and south-eastern Asia, as well as on Sumatra, Java, Sulawesi, Peninsular Malaysia, Borneo and thePhilippines. It is also present in the northern part of Western Australia and the Northern Territory. Adults have black wings with three large orange patches and two small blue marks on the forewings. The eggs are shiny pale yellow spheres, and laid in groups under a leaf of a foodplant. The larvae feed on Ipomoea species. They are orange with bands of black and brown hairs. The caterpillars live in groups until the last instar which is solitary. 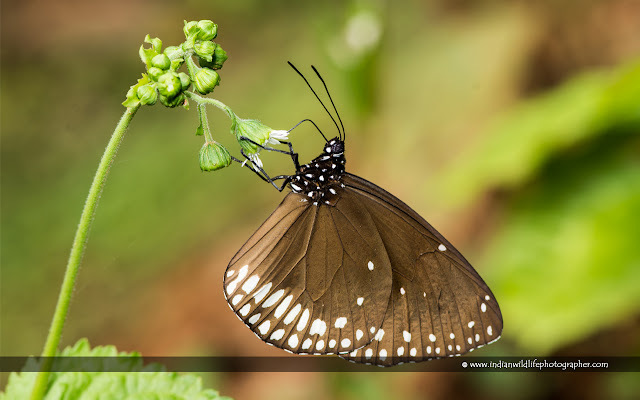 The common crow (Euploea core) is a common butterfly found in South Asia and Australia. In India it is also sometimes referred to as the common Indian crow, and in Australia as the Australian crow. It belongs to the crows and tigers subfamily Danainae (Danaini tribe). 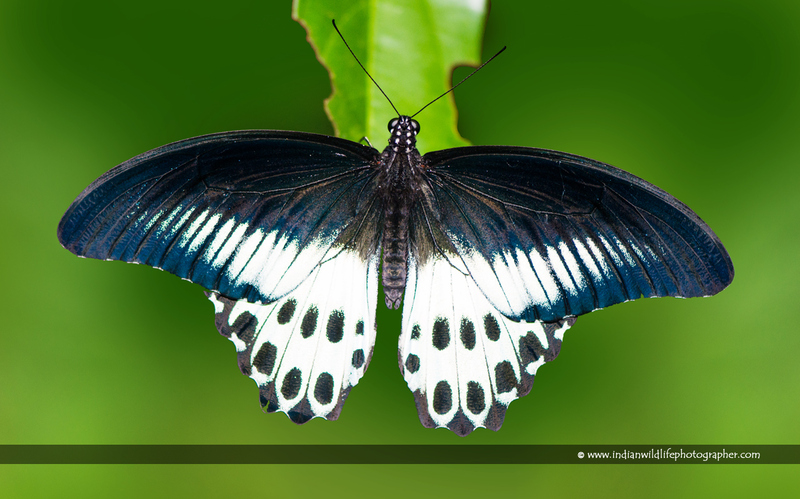 E. core is a glossy black, medium-sized 85–95 millimetres (3.3–3.7 in) butterfly with rows of white spots on the margins of its wings. 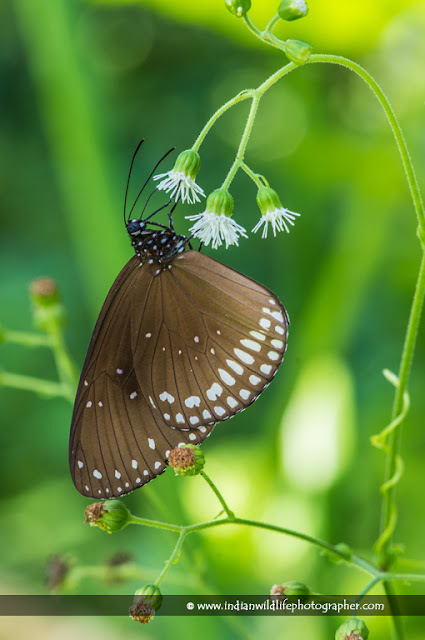 Euploea core is a slow, steady flier. 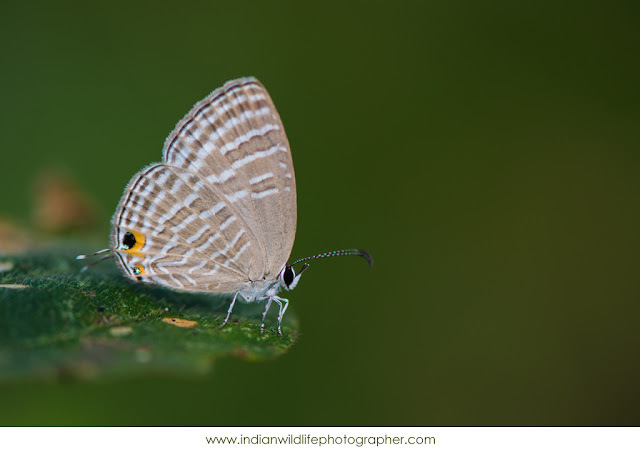 Due to its unpalatability it is usually observed gliding through the air with a minimum of effort. As caterpillars, this species sequesters toxins from its foodplant which are passed on from larva to pupa to the adult. While feeding, it is a very bold butterfly, taking a long time at each bunch of flowers. It can also be found mud puddling with others of its species and often in mixed groups. The males of this species visit plants like Crotalaria, Heliotropium to replenish pheromone stocks which are used to attract a mate during courtship. 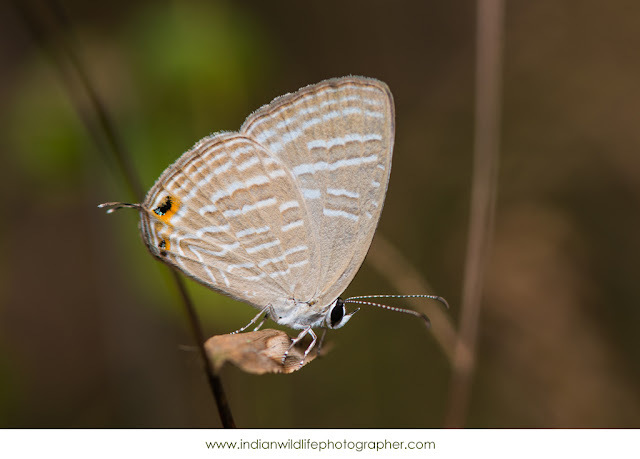 Founded In: Meesapulimala, Idukki Dist, Kerala, India. The Anayirangal dam, 22 kms away from Munnar (closer to Chinnakkanal), is surrounded by Tata Tea plantations, coffee, Tea and cardamom plantations in the evergreen forests. Kolukkumalai is about 7,900 ft above sea level and you can have some excellent views of the far off plains in the bordering State of Tamil Nadu. The distant hills slipping in and out of the mist is a captivating sight. 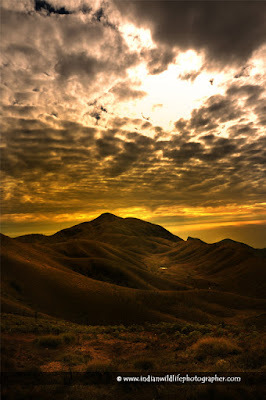 Top Station is tourist destination in the Kannan Devan hills of Tamil Nadu. It is part of Theni District in the state of Tamil Nadu. Top Station is notable as the historic transshippment location for Kannan Devan tea delivered up here from Munnar and Madupatty by railway and then down by ropeway to Kottagudi.This area is popular for the rare Neelakurinji flowers. The Kurinjimala Sanctuary is nearby. Top Station is the western entrance to the planned Palani Hills National Park. A trekking path is connecting Top Station via Central Station Village with Kurangani in the south. 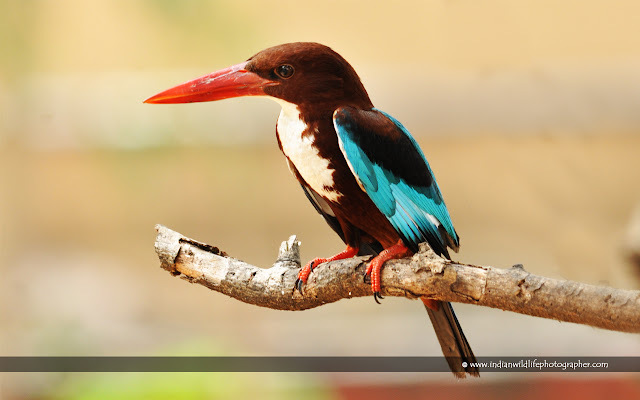 Founded In: Kumarakam, Kottayam Dist, Kerala, India. Founded In: Munnar, Idukki Dist, Kerala, India. This is very Beauty full Butterfly, Name Tawny Coster butterfly or Acraea terpsicore is a small, 53–64 millimetres (2.1–2.5 in), leathery, winged butterfly which is common in grassland and scrub habitats. 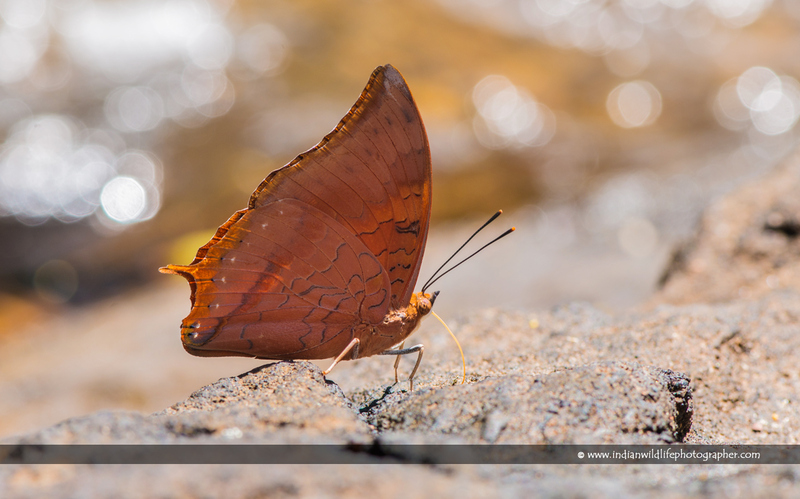 It belongs to the Nymphalidae or brush-footed butterfly family. It has a weak fluttery flight. It is avoided by most insect predators. 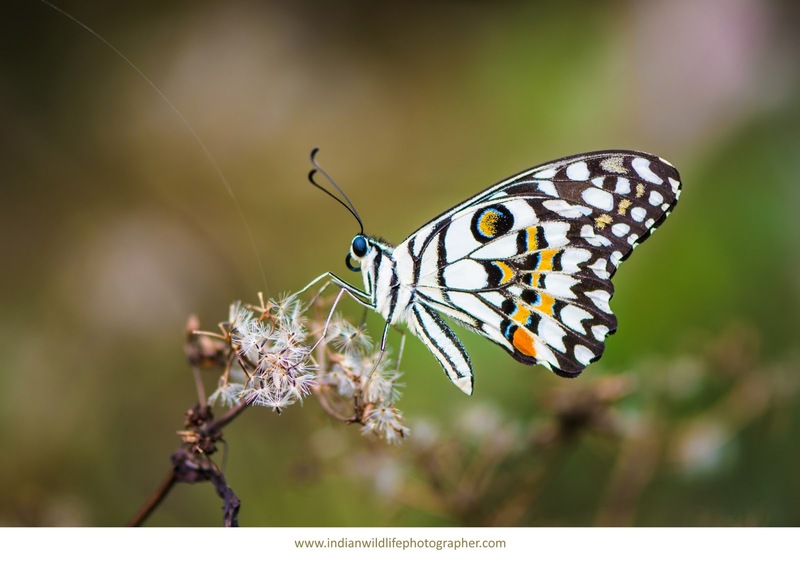 This species and the Yellow Coster (Acraea issoria) are the only two Indian representatives of the predominantly African tribe Acraeini. Founded In: Parunthumpara, Idukki Dist, Kerala, India. This is lucky shot for me. he is setting almost 15 minutes with me, this is rare butterfly in western ghats, This name Indian sunbeam, Curetis thetis is a species of lycaenid or blue butterfly found in Asia. The butterfly occurs in Peninsular India, south of the Himalayas, but not in the desert tracts or in areas with a scanty rainfall; parts of Assam; Saurashtra; Bengal, Sylhet onto Myanmar. 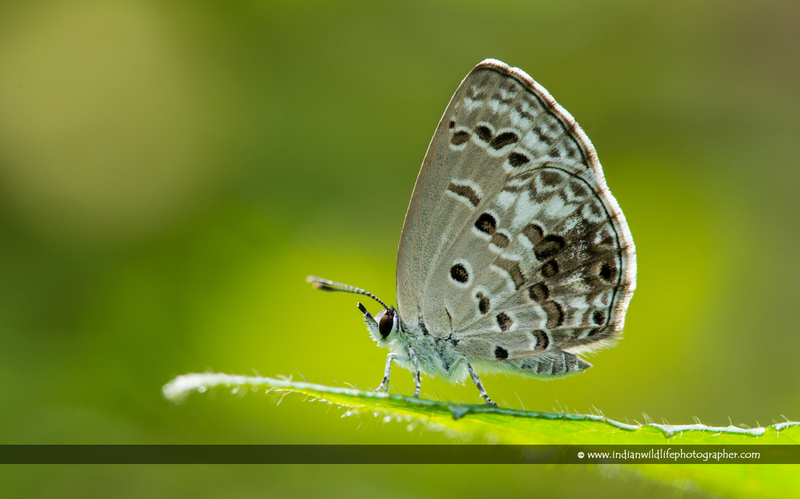 It is also found in the Nicobar islands.It is also found in Sri Lanka, Java, Philippines, North Sulawesi and Selajar. Founded In: Chirakkadavu, Kottayam Dist, Kerala, India. 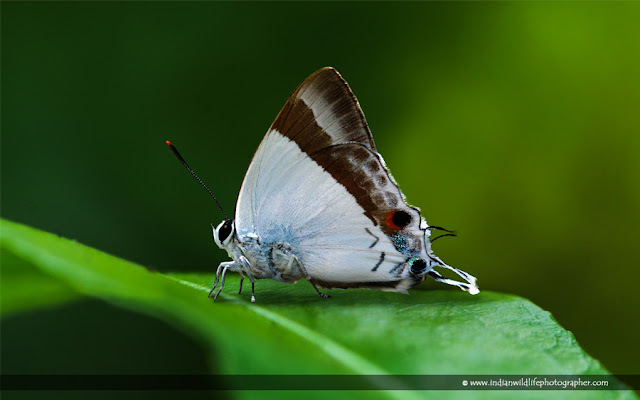 This is One of the small butterfly founded in kerala, Name Quaker Butterfly or Neopithecops zalmora is a small butterfly found in other places South Asia and Southeast Asia that belongs to the Lycaenids or Blues family. Founded In: Parunthumpara, Peermade, Idukki Dist, Kerala, India. 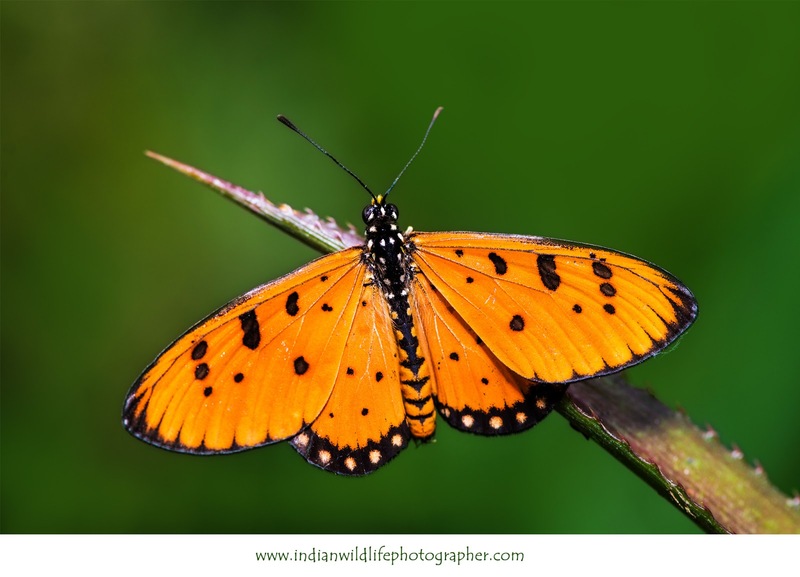 The common tiger (Danaus genutia) is one of the common butterflies of India. It belongs to the "crows and tigers", that is, the Danainae group of the brush-footed butterflies family. The butterfly is also called striped tiger inIndia to differentiate it from the equally common plain tiger, Danaus chrysippus. The butterfly closely resembles the monarch butterfly (Danaus plexippus) of the Americas. The wingspan is 75 to 95 mm. 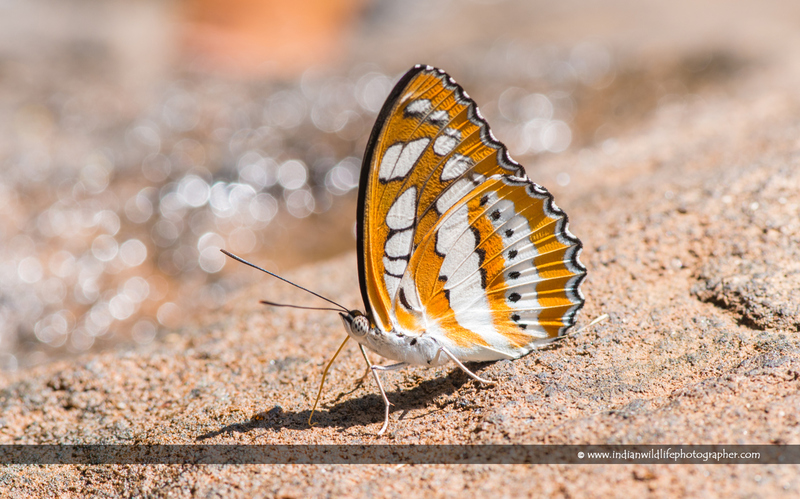 Both sexes of the butterfly have tawny wings with veins marked with broad black bands. The female[verification needed] has a pouch on the hindwing. The margins of the wings are black with two rows of white spots. 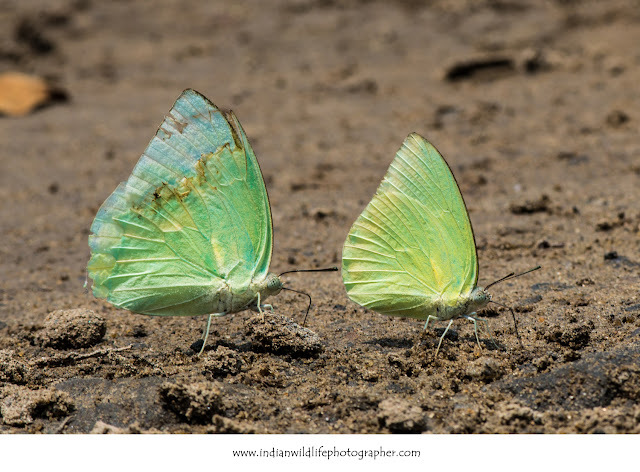 The underside of the wings resembles the upperside but is paler in colouration. 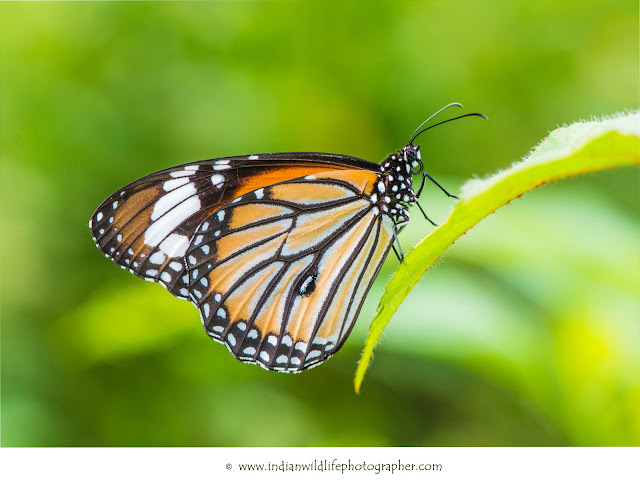 The male common tiger has a prominent black-and-white spot on the underside of the hindwing. 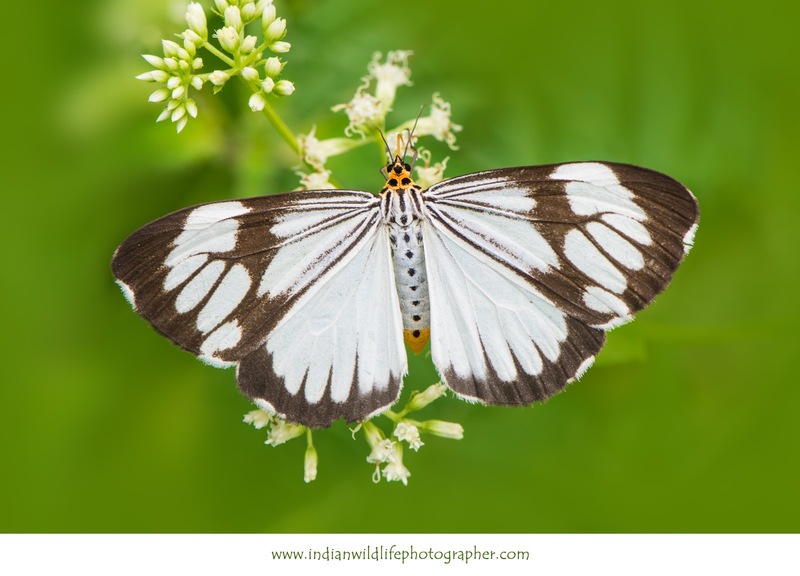 In drier regions the tawny part of the hindwing pales and approaches white in colour making it very similar to the white tiger (D. melanippus). Founded In: Chirakkadavu, Kanjirappally, Kottayam Dist, Kerala, India. 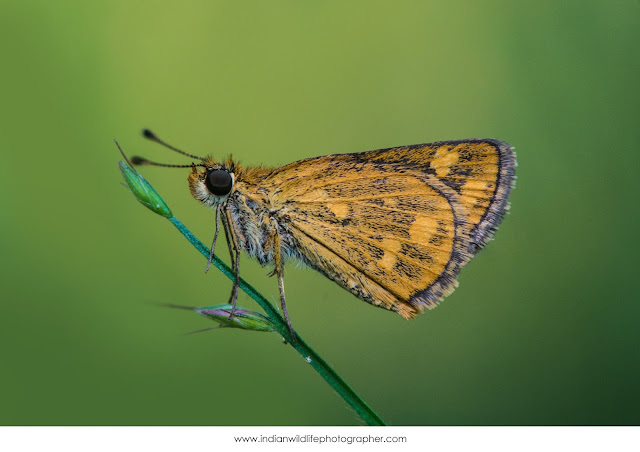 This is Commonly founded in our place Name Grass Demon Udaspes folus is a small but prominent butterfly found in India that belongs to the Skippers, or Hesperiidae family. It is regarded as an occasional pest of ginger and turmeric. The Grass Demon (Udaspes folus) is a small butterfly with a wingspan of about 4 to 4.8 cm. 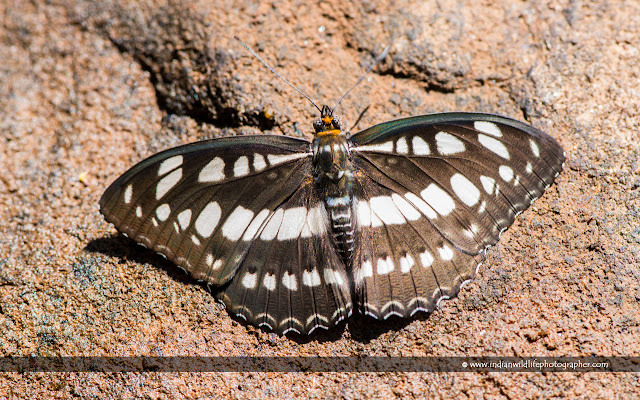 It is black with a large white spot on the upperside of the hind wing and several smaller whites spots on the forewing. The underside of its wings is mostly white with brown edges and spots. This is seasonal butterfly in our place, Name Banded Blue Pierrot or Discolampa ethion is a contrastingly marked butterfly. commonly found in South Asia that belongs to the Blues or Lycaenidae family. 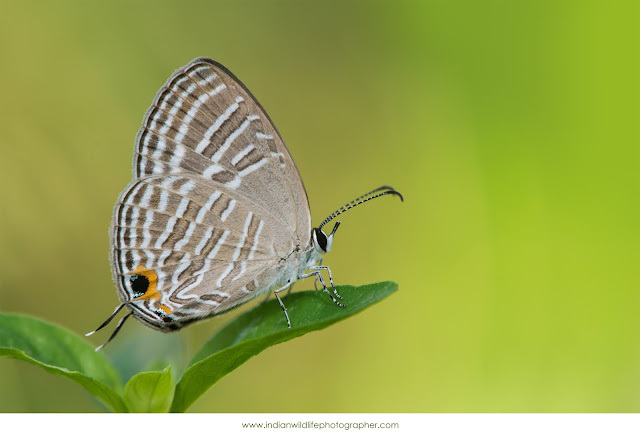 Name Common Cerulean (Jamides celeno) is a small butterfly found in Southeast Asia belonging to the Lycaenids or Blues family. 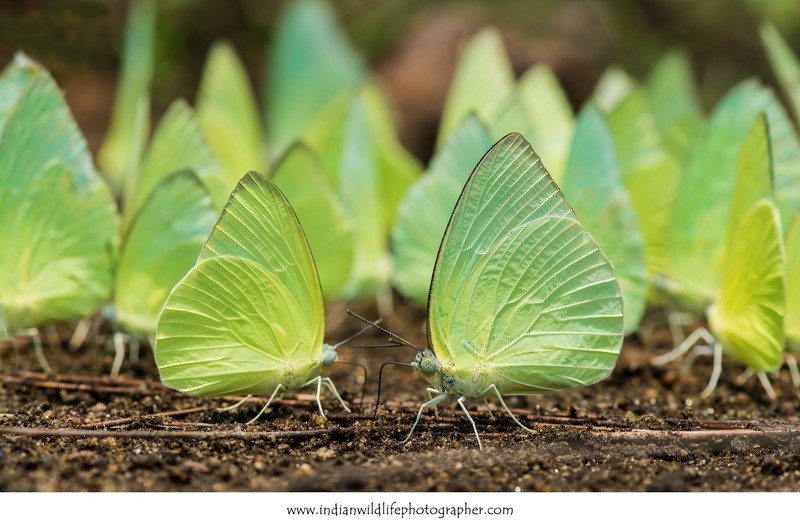 Like many tropical butterflies, this species shows seasonal polyphenism, with the appearance differing between adults according to the season. Male upperside has the ground colour pale bluish white. The forewing has the terminal margin narrowly edged with black that broadens very slightly towards the apex of the wing; the cilia are brownish black. 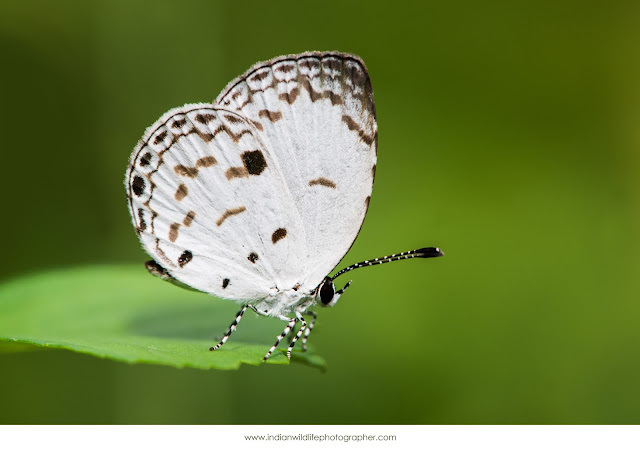 The hindwing is uniformly coloured, except for an anticiliary black line faintly edged on the inner side by a white line within which and touching it is a row of black spots, the anterior spots very faint, the spot in interspace 2 large and well-defined, two geminate spots in interspace 1 and a very small black lunular dot in interspace 1a; cilia brown, white at the base in the interspaces. 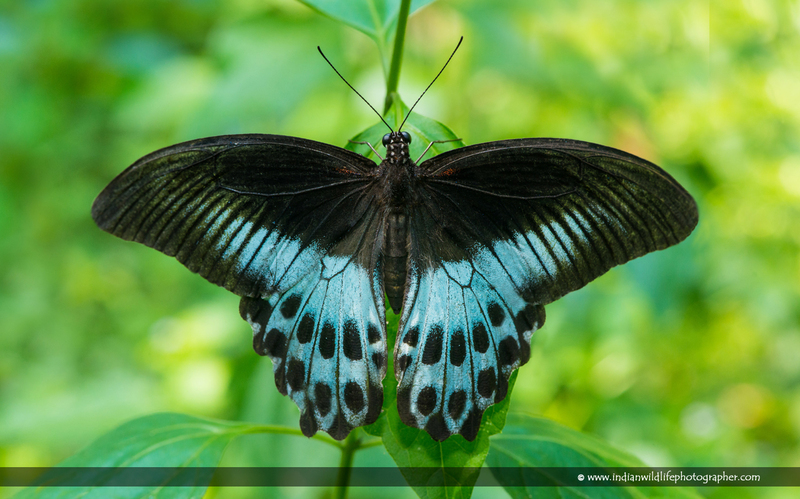 In specimens obtained in the height of the dry season the black edging to the termen of the fore wing is much reduced and the subterminal series of black spots in the hind wing is altogether missing. The underside is greyish brown. The forewing has seven transverse white bands as follows:—two short bands one each side of the discocellulars, the inner one continued downwards to vein 1 and both represented at the costa by two detached spots; two parallel discal bands, the inner one broken at and the outer one terminating on vein 3; two parallel subterminal bands, the outer one slightly lunular; lastly, a more slender terminal band followed by an anticiliary slender black line; the dorsal margin narrowly white; cilia brownish black, their bases white in the interspaces. Hind wing: crossed by nine white bands or lines as follows :—three between base of wing and apex of cell, those posteriorly in interspace 1 or on vein 1 abruptly turn upwards and terminate on the dorsum ; the first band beyond the cell extends from vein 6 to vein 2, then curves upwards in interspace 1; the next extends straight from just below the costa to vein 4, thus overlapping the previous band for a short distance ; the next or postdiscal band runs between the costa and vein 3, the subterminal two also between the costa and vein 3 but the inner one of the two bands is extended down to interspace 1 and there curves upwards towards the dorsum ; both the subterminal bands are more or less lunular; in the interspace below vein 2 is a large subterminal black spot speckled with metallic blue scales and bordered inwardly by ochraceous orange; there are also in interspaces la and 1 two black dots inwardly edged by a short white streak set in an ochraceous background ; lastly, there is a complete terminal white line followed by a black anticiliary line and a filamentous short black white-tipped tail at apex of vein 2 ; cilia as on the upperside. Antennae brownish black, the shafts as usual tinged with white; head, thorax and abdomen pale brown, bluish on thorax and base of abdomen; beneath : the palpi, thorax and abdomen white, the third joint of the palpi and the second joint anteriorly black. 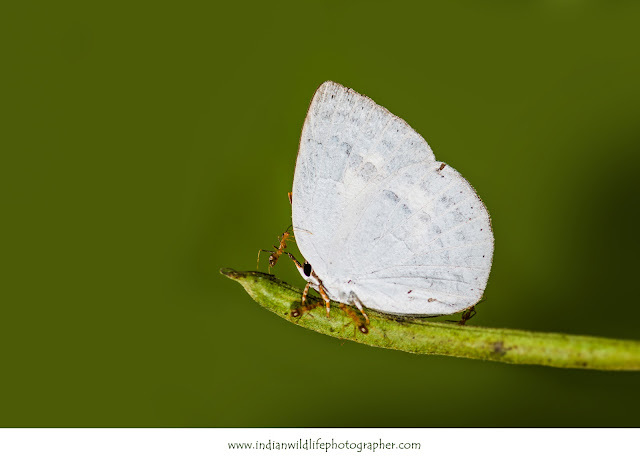 The female has the upperside ground-colour paler than in the male, often quite white; terminal black edging to fore wing very much broader, broadest at apex, its margin there diffuse. Hind wing: differs from that of the male as follows:—costal margin broadly dusky black; a postdiscal transverse series of dusky-black connected lunules often more or less obsolescent; this is followed by a series of black spots each set in a background of the white ground-colour; an anticiliary slender black line as in the male. The underside ground-colour is paler than in the male, the markings however are identical. Antenna, head, thorax and abdomen as in the male. 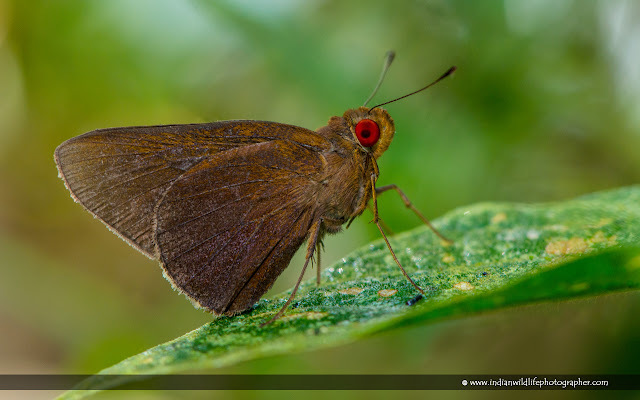 This is Common Butterfly in Kerala, Bush Hopper or simply Bush Hopper (Ampittia dioscorides), found in Chirakkadavu, Kerala, India, commonly founded in other Counters also China, Indochina and on to Borneo, Sumatra and Java belonging to the family Hesperiidae.